Let’s get right to the interview. We interviewed a number of exchange students studying in Japan, and the previous interview was with a Malaysian, so now we shall present to you an interview with an exchange student from Indonesia. (1)	Please let us know your name, birthplace, age and high school. My name is Muhammad Izzat Nugraha, and I am from Depok, Indonesia. I am 20 years old and the highschool I was from is MAN Insan Cendikia Serpong Banten. (2)	How long have you been in Japan, and where and what are you studying? This is my 3rd year in Japan, and I am studying bachelor’s degree in the Faculty of Agriculture, Marine Biological Science in Tohoku University. (3)	By which program did you come to Japan? The G-30. It is an abbreviation of “Global 30”. 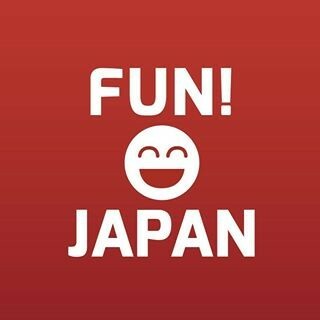 With this program, you can come to Japan directly after graduating high school. There are many other Indonesian exchange students who first entered Indonesia’s university before coming to Japan’s university, but in my case, after graduating high school in July, I came to Japan at the end of September. Other than the course I am currently taking, under the G-30 program, Tohoku University offers the advanced molecular chemistry and mechanical and aerospace engineering course as well. (4)	What are you currently studying in the Marine Biological Science course? Mainly the applications of marine biology. Marine Biology Science is all about trying to make something valuable out of medicines and marine biology. There are many applications of biology and biochemistry included. (5)	In the first place, why Japan and why do you choose Tohoku University? When I was a child, I like to look at animals and research about them. Japan has the right equipment needed for that research, and their research method is above Indonesia. The course I wanted to study is in Tohoku University and additionally it is taught in English, which is why I chose Tohoku University. Another reason was when I was young, my dad went to Japan on a business trip, and he bought back a telephone card with the picture of Mt. Fuji on it. Since then, I began to know more about Japan. Going abroad didn’t come to my mind until when I was a 3rd year junior high student. With the feelings and desires to try out new things, I want to go and study abroad, is what I thought at that moment. Well, this isn’t a reason of why I chose Japan, it is more of a reason of why I decided to study abroad. (6)	How did you get to know about G-30? I knew it from a senior high counselling teacher. When I became a 3rd year senior high student, during the counselling class, the teacher taught us a lot about advancing to local university and about going abroad, and one of them was about G-30. I also heard a lot from the seniors who have went abroad to Japan in the past. (7)	Did you learn any Japanese before coming to Japan? To be honest, I knew very little about Japan and Japanese before coming to Japan. I’ve learnt a bit about hiragana and katakana, but I have never attended a Japanese language school. I only began taking Japanese classes after entering the university. Well, there were very few among the G-30 who knows Japanese unless they went on a short-term exchange program when they were in high school. But if they were to take the JLPT test, I think most of them won’t make it past N4. In conclusion, you can go abroad to Japan even if you don’t know Japanese. (8)	When you begin living in Japan, was it hard due to the fact you couldn’t speak Japanese? Needless to say, it was rather inconvenient. If it were in the university campus, you could get by with just English, but that doesn’t apply when outside the university campus. Another reason is due to Culture shock. I didn’t know what type of actions that are okay or prohibited, so in order not to get disliked by the people around me, I had to listen carefully to my seniors. (9)	Which part of Tohoku University do you like? I like the library the best. There is a library in the Aobayama Campus that I really like. Above all, everyone respected the rules while using the library, so I could use the library facilities comfortably. (10)	Is there any part of Tohoku that you like? The people of Tohoku are what I like about Tohoku the best. If you are an Indonesian, it will probably be easier for you to make friends in Tohoku rather than in Tokyo I think. They are rather open to foreigners. (11)	While you were in Tohoku, what is the best experience you ever had? When I was a primary student, I asked my dad who went overseas for business trips for some snow souvenirs. My dad put some snow into a bottle and brought it back to Indonesia, but due to the hot weather the snow melted into water. (12)	How does you spend her day? The time I wake up is adjust according to the first class I have on that day. During summer, the sun rises earlier and sets later, and so there are times I sleep only after Subuh, there are also times I sleep early, wake up for Subuh, and then go back to sleep. The time I spend at home is longer than the time I spend in the lab at the moment. I will have to go to the lab every morning once the 2nd semester of my 3rd year begins. (13)	By the way, where do you live now? At the university dormitory. The rent is 16,000 yen (around RM600) per month only, which is very cheap if compared to the apartments near the university. If you include the utility fees, it will amount to 28,000 yen (around RM1000) a month. (14)	Have you ever been troubled by food problems? Is it easy to get halal food? I buy my ingredients from a store that specially sells imported goods. If there are no halal ingredients, I will buy vegetables and seafood and cook them myself. Up till now I never had any problem with food. (15)	Other than studying, do you involve yourself in other activities? I’ve joined 2 Indonesian communities which are the Komunitas Muslim Indonesia Sendai and the Persatuan Pelajar Indonesia Sendai. These communities have a gathering every 2 months, which means that every month I get to meet other Indonesian exchange students at least once month. During the weekends, I have recently become addicted to swimming at the river. I have meals and go shopping with my friends from time to time as well. This year the Persaturan Pelajar Indonesia Sendai will be organizing an event to climb Mt. Fuji so I am really looking forward to that. (16)	How often do return to your own country? Once every 6 months. If I get homesick, a call will normally do the trick (Lol). There is something I forgotten to say. During the semester breaks, there will be requests from the Tohoku University to do promotion of the university. To be exact, to accompany the staff members of the Tohoku University to my own high school in Indonesia. (17)	Have you decided what you want to do when you graduate? I would like to advance to Masters in Japan. For Doctorate, I would like to do it in other countries. (18)	How about your Indonesian groupmates? What do they plan to do after graduating? Most of them plan to go back and work in Indonesia. The 2nd most chosen option is to continue their Masters in other countries. That concludes Mr. Izzat’s interview. The next interview will be with the Indonesian exchange student studying her Doctorate in Tohoku University, Miss Hana. An Interview with a Malaysian student studying at Tohoku University.